Mercedes B Class Interior, Sat Nav, Dashboard | What Car? You wouldn’t necessarily expect an MPV to wow you with its interior, but that’s exactly what the B Class does. In fact, its dashboard is more in line with what you’d expect to find in an executive saloon. There are loads of tactile, soft-feel materials, piano black plastics and metal touches in all the places you’re most likely to touch, while details such as the turbine-style air vents make you feel like you’re driving something genuinely special. Indeed, our only criticism of the B Class’s interior is that, despite topping the BMW 2 Series Active Tourer for outright pizazz, it doesn’t feel quite as solidly bolted together. For example, the climate control panel feels a bit flimsy, while some of the plastics that line the door handles and glovebox feel a little cheap to the touch. This isn’t enough to ruin the overall impression, though. 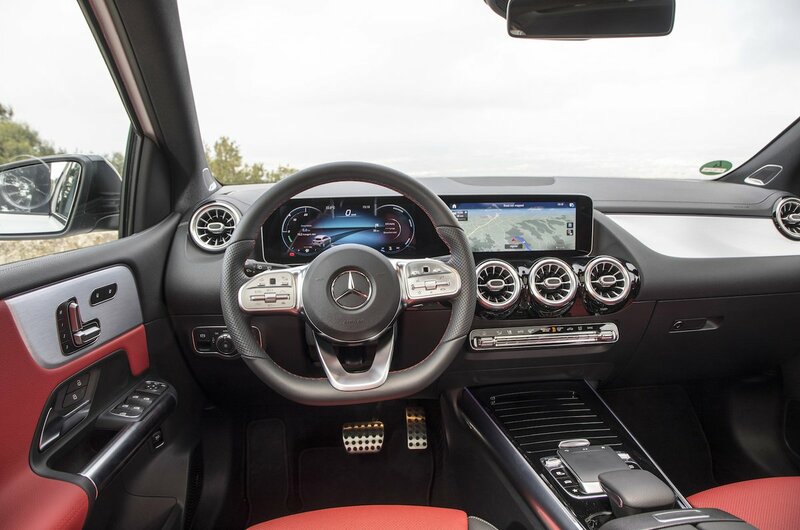 All versions of the B Class come with a 7.0in digital instrument cluster behind the steering wheel and a 7.0in infotainment screen in the centre of the dashboard, both of which sit behind one giant piece of glass. Opt for the Executive equipment package and the 7.0in infotainment screen is replaced by a 10.3in version. If you add the Premium package, the instrument screen is also enlarged to 10.3in, the two neighbouring screens combining to look like one giant widescreen that stretches across more than half of the width of the dashboard. The infotainment screen can be controlled by touch just like an iPad, but also by swiping and pressing a touchpad between the front seats or via a plethora of buttons on the steering wheel. It isn’t as user-friendly as the iDrive system you’ll find in the 2 Series Active Tourer, but it’s far less daunting to use than you might expect and is absolutely rammed with clever tech. Indeed, even the cheapest models come with a Siri-style personal assistant as standard that you wake up by saying "Hey Mercedes" and then, in theory, you can use natural speech to control various aspects of the car, from sat-nav to interior temperature. It’s genuinely fun to use and sometimes very useful. But, like many voice recognition tools, it can occasionally misunderstand what you’re saying or simply not recognise it at all, and that can be rather frustrating. More successful is Mercedes’ optional augmented reality navigation, which overlays a live camera feed of the road ahead with house numbers, road names, direction arrows and other useful bits of information to help you work out where you need to get to. It’s very helpful at low speeds and ensures you don’t miss those last-minute exits. 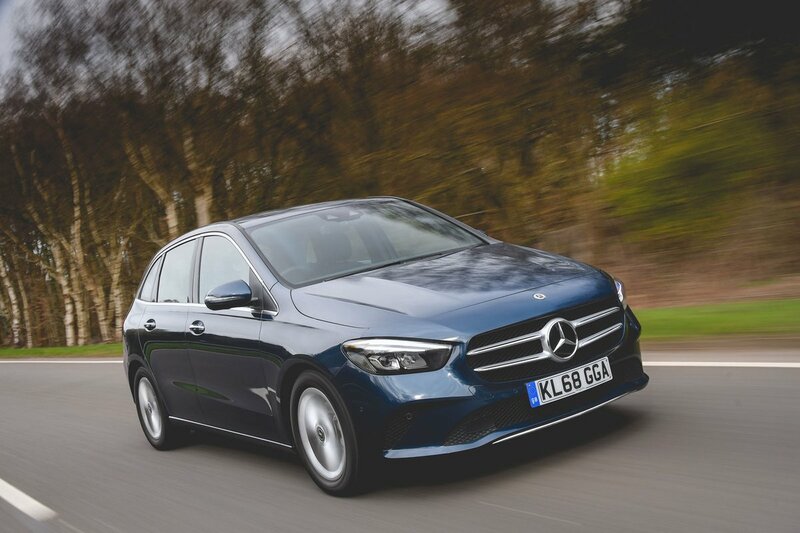 You’re unlikely to have much difficulty getting comfortable behind the wheel of the B Class. The driver’s seat – which adjusts manually on all trim levels (electric seats are available as part of the Premium Plus package) – supports you in all the right places, and there’s plenty of steering column movement. 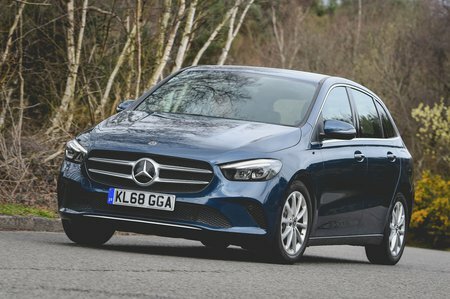 The B Class is also relatively easy to see out of in all directions, partly because you sit higher up that you do in a conventional hatchback. What's more, all models come with a reversing camera as standard, although you’ll need to add the Executive pack if you want front and rear parking sensors.